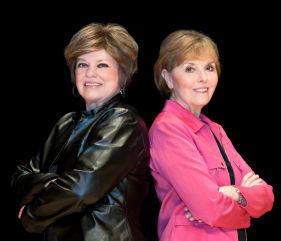 Susan Duehlmeier and Bonnie Gritton have performed throughout the United States, Europe, China and Israel. They have collaborated with numerous orchestras including the Warsaw Philharmonic, the Boston Pops, the Czech Radio Orchestra, the Utah Symphony, and the Armenian Philharmonic. They have performed at Weill Hall at Carnegie Hall, Symphony Hall in Boston, Dvorak Hall of Rudolfinum in Prague, Warsaw Philharmonic Hall and Lutoslawski Hall in Warsaw, Royal Academy of Music in Glasgow, the Jerusalem Center and Bosendorfer Hall in Vienna. Their performances have been featured on National Public Radio. Gritton and Duehlmeier have been winners in the professional divisions of the International Web competition, the Bradshaw and Buono International Competition, and the BOSS awards. Their performance of the Wolking Jazz Concerto Letting Midnight Out on Bail with the Warsaw Philharmonic was nominated for a Grammy. Their recordings are available on the Albany, MMC, DG and Centaur labels. They are listed Steinway artists.